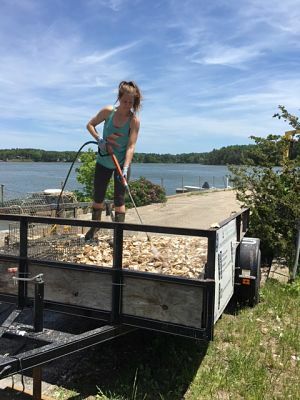 Durham, NH – In 2016, The Nature Conservancy, University of New Hampshire, and independent oyster growers worked together to initiate oyster restoration efforts in 12 acres of the Great Bay Estuary in NH. 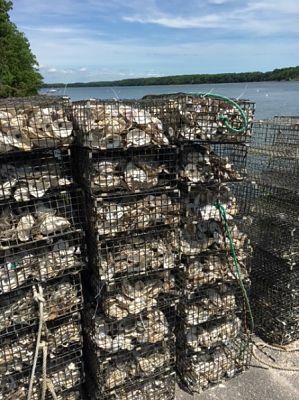 Restoration efforts in a 5-acre project area, northwest of Nannie Island in Newington, were supported by funds from the Aquatic Resource Mitigation Fund, and include seeding the restoration area with over 1 million juvenile oysters (spat-on-shell) in the fall. The remaining work was undertaken by local oyster farmers within 7 acres of designated restoration area located south of Adams Point in Durham and in the mouth of Lamprey River. This work was initiated with support from the Natural Resources Conservation Service through the Regional Conservation Partnership Program to support conservation in NH’s coastal watershed. 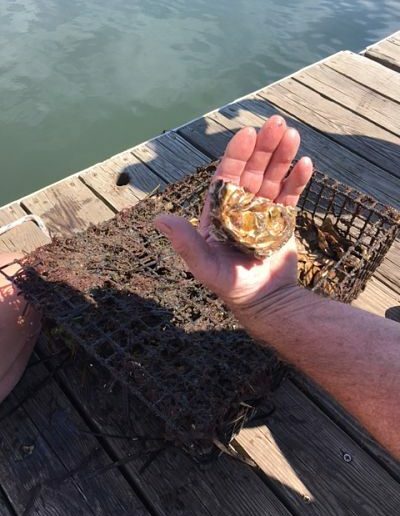 The 2016 season was the Conservancy’s 8th consecutive year of construction in partnership with UNH, and the largest annual effort to date, bringing the total oyster reef restoration effort to over 25 acres since 2009.Our Oyster Conservationist (OC) program is also having a great season! Under the direction of Amanda Moeser, the Conservancy’s OC Coordinator, our OC program has over 85 participants this year, including many families, individuals, companies and schools in NH and Maine. This was the largest group of OC volunteers in the 11-year history of the program. Most received their oysters in a whirlwind cage delivery effort in mid-July. 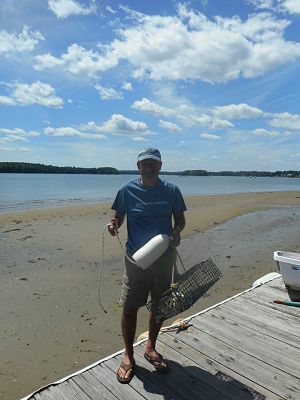 We purchased 12 million oyster larvae and our partners at UNH Jackson Estuarine Lab produced spat-on-shell with a very successful spat set this year. The juvenile oysters (spat-on-shell) were raised all summer in cages at docks at Jackson Lab and at OC sites around the estuary. They will be deposited at the Nannie Island restoration site in September and October. The restoration site will be monitored each fall for five years to evaluate the success and assist in planning for future restoration efforts. On July 20-21, we completed construction of our 5-acre oyster restoration project in Great Bay! 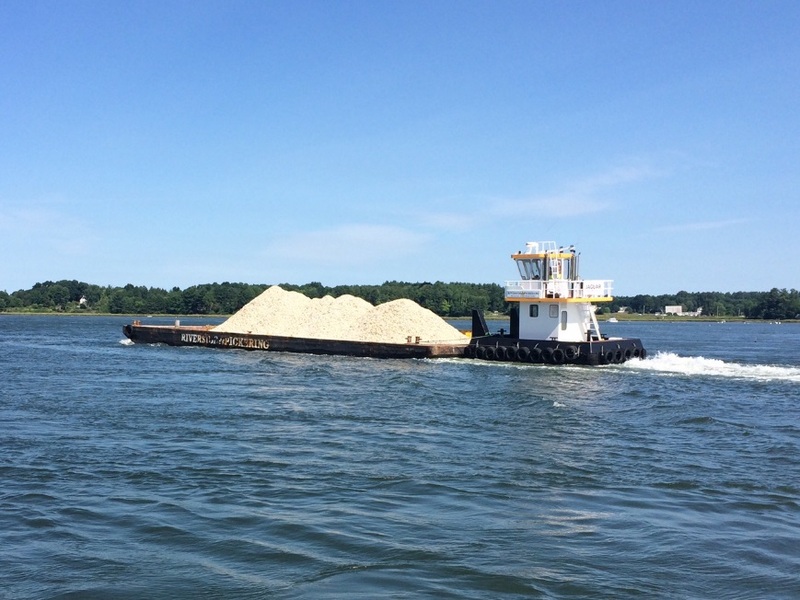 With the great work of Riverside and Pickering Marine contractors, we placed 500 cubic yards of seasoned clam shell on the bottom of the estuary in a shallow area off Nannie Island, adjacent to an existing healthy oyster reef in Newington, NH. Over 2 very full days, two barge loads full of shell were ferried from Portsmouth down to the project site, and then deposited in small piles across the project site using a crane and clam-shell bucket. Quite a construction effort, all for our largest single oyster restoration project to date!